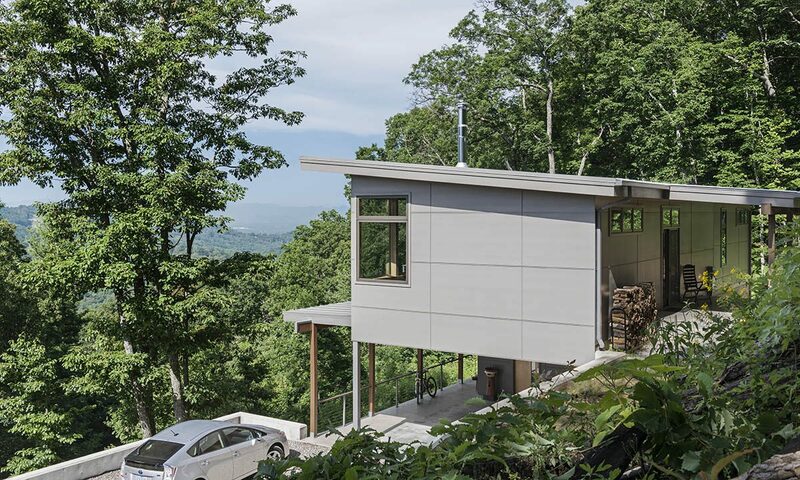 This modern net zero home sits on five acres with great views looking down the Beaverdam Valley. The house is on a south-facing slope and allowed the owners to build the energy efficient house they were dreaming of. The very steep slope required significant retaining walls, so we developed a narrow floor plan that worked parallel to the topography. Our clients were looking for modern architecture with a low maintenance exterior and a clean-lined and comfortable interior. We developed a light interior palette that provides a simple backdrop for an eclectic mix of antique and modern furniture. 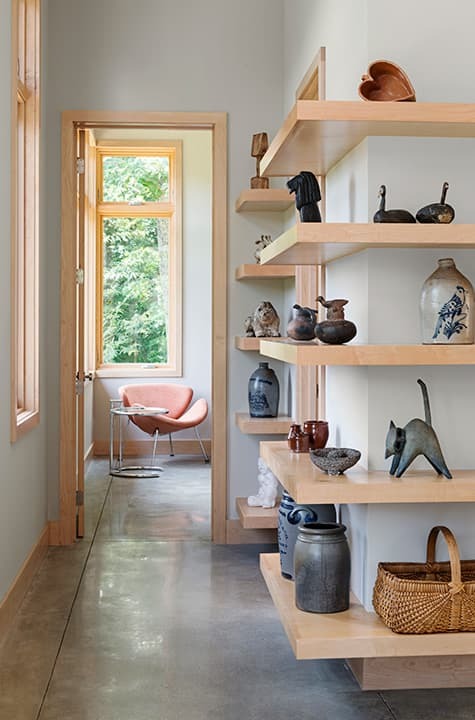 The cantilevered maple shelving is a design feature that displays our client’s art and craft collection and greets visitors as they arrive at the top of the central stair. 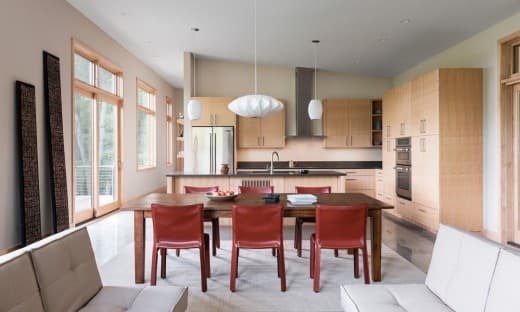 This modern net zero home is the first home in North Carolina to earn Zero Energy certification from the International Living Future Institute. 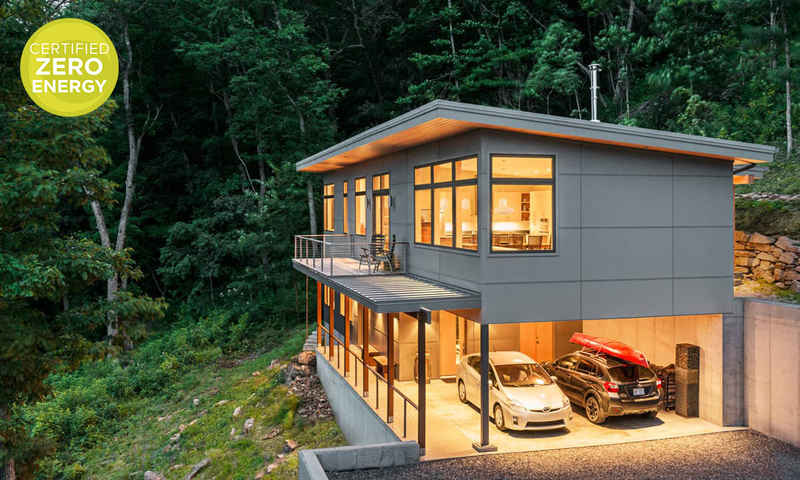 Part of the Living Building Challenge, Zero Energy Certification is the most ambitious of all energy certifications, requiring actual, rather than modeled, performance. This means to receive certification, the Craven Gap residence had to be operational for at least twelve consecutive months prior to evaluation. 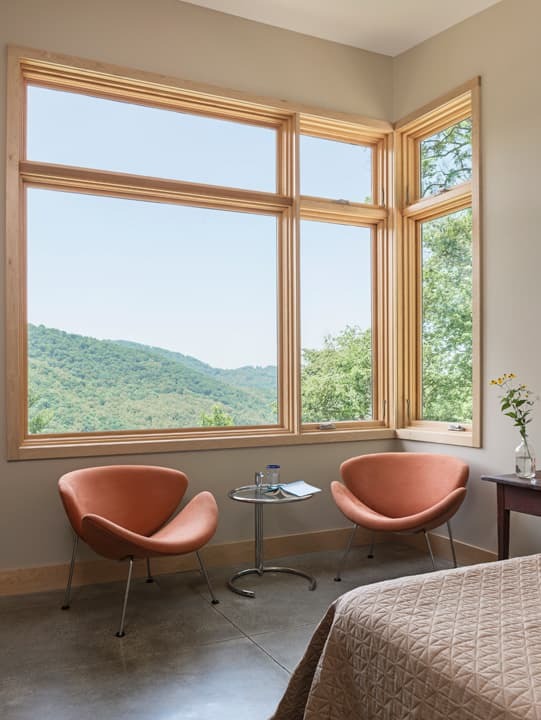 The Craven Gap Residence is not only the first Zero Energy Certified Project in North Carolina, it is the first project in North Carolina to achieve any level of certification through ILFI. The home also currently has the smallest photovoltaic array of any Zero Energy Certified project, showing that large arrays aren’t necessary to achieve Zero Energy. 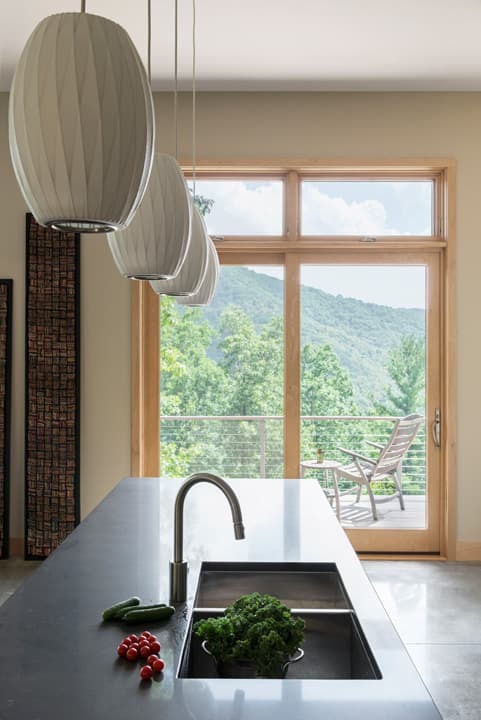 Polished concrete slabs provide the proper thermal mass for passive solar energy, and roof overhangs were calculated for the correct year-round sun exposure. 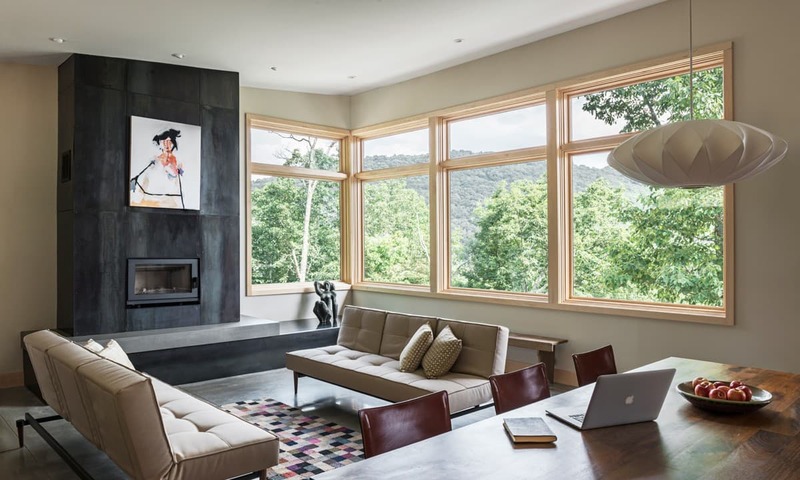 An efficient thermal envelope, ERV, and mechanical system minimize energy use and allowed the house to achieve a HERS rating of 50 (50% more efficient than a standard new home) when the home was completed. A 5kW PV array was added by owners a year after construction was completed, and once a year’s worth of energy bills were collected, data indicated that the home produced more electricity than it consumed during the year.